KORC is the perfect venue for your corporate event. 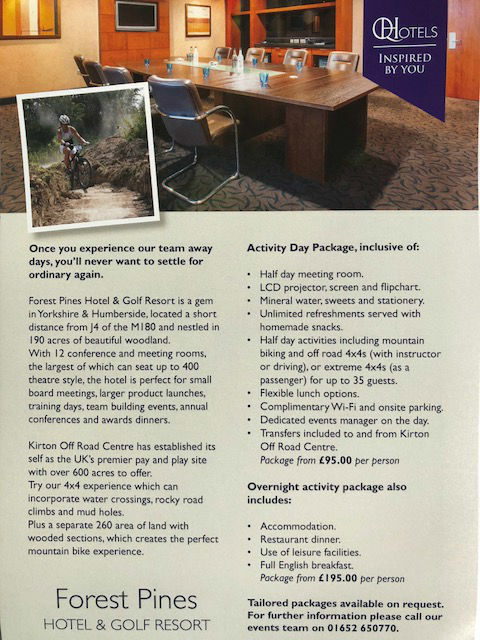 Kirton Off Road Centre can facilitate a corporate event to suit companies large and small. We can provide areas for marquees, hospitality vehicles and associated equipment to enhance your company profile to customers and staff alike. 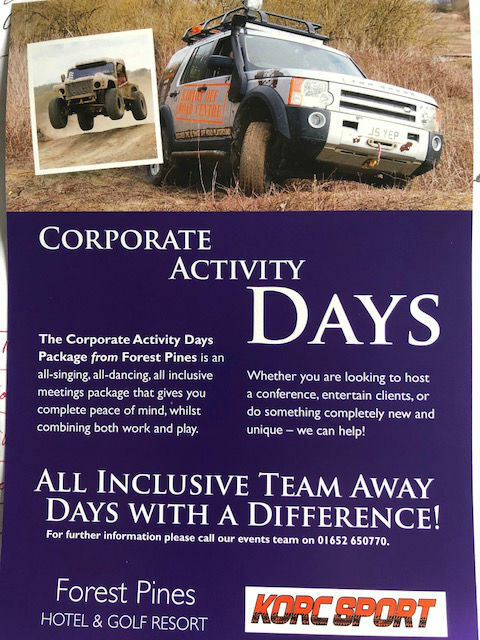 We can guide you through the organisation of a corporate day or just leave it to you and your team - the choice is yours. If you wish we can provide vehicles and experienced drivers for chauffered rides around several miles of tracks over the vast expanse of the site which can incorporate water crossings, rocky road climbs and mud holes in a variety of 4x4 vehicles and even a Snowcat tracked go-anywhere people carrier. We can also provide drone and photo footage of your day to ensure you have a record of a fantastic day at KORC. In addition to this we have purpose built Mountain Bike tracks available through our partner company Vuelta Sport on a seperate 260 acre area of land with wooded sections. Phone John 07568 587841 to discuss your requirments. Want to present a new 4x4 model to your clients? No problem at KORC. We can construct a course to suit your requirments, wether it be a all-wheel drive saloon or a full on 4x4, KORC has every type of off-road course ranging from a lunar environment to smooth fast tracks. We have mud crossings, water crossings, steep hills, rocky roads and much more to test any vehicle and driver to the limit. Contact us, if we do not have what you require we can construct it! A look at a recent corporate event held by Audi at KORC .